We’ve recently been investing some time trying to build awareness regarding the new Silica Regulations set by The Occupational Safety & Health Administration. It is an incredibly important, and long overdue regulation change, that ensures a safer work environment for many industries. For more information on the new regulation, you can check out our other blog called, “Important Things to Know About OSHA’s New Silica Regulations”, that outlines the key points. For this blog, we wanted to focus specifically on Crystalline Silica, and the negative affects it has on your health in hopes that more people understand the severity of not following the new guidelines. Crystalline Silica is a human carcinogen found in stone, brick, concrete, soil, quartz, sand, granite and other similar materials. It is released into the air in incredibly small respirable size particles when workers are cutting, drilling, crushing, grinding etc. This means that it is incredibly toxic and very easy to breath into your lungs if safety regulations are not followed. Any person working in an industry or situation where these materials are used, or even in the vicinity of this type of work, are at risk for developing Silicosis or other extremely serious health problems. Silicosis is an incurable, and fatal lung disease that is a result of crystalline silica exposure. It is progressive, which means it gets worse over time, even if you are no longer experiencing silica dust exposure. Once the crystalline silica enters into your lungs, it immediately begins doing damage by acting like tiny blades, making cuts on your lung’s air sacs. This leads to scaring, inflammation, fluid, and stiffening of the lungs as it progresses and reduces your ability to pull oxygen from the air you’re breathing in. Simple/Chronic Silicosis: This form is a result of long-term exposure to low amounts of silica dust. You’ll experience chronic inflammation and scarring, which will cause coughing and difficulty with breathing. In addition, it is common for you to feel a general sense of illness or discomfort, and fatigue. Acute Silicosis: This form is a result of being exposed to very large amounts of silica dust over a short period of time. Your lungs will become very inflamed and may fill with fluid. This makes it very difficult to breathe and results in low blood oxygen levels. Some other common side effects that may occur are fever, sharp chest pain, wheezing, weight loss, and coughing up blood. Additionally, over time, your lung capacity will continue to decrease due to the scar tissue stiffening the lungs. This often leads to a need for oxygen tanks and other devices to help you breathe. Furthermore, Crystalline Silica is considered a carcinogen by The U.S. Department of Safety because of its ability to cause cancer, including lung cancer. It also seriously increases your risk for other respiratory diseases, and kidney disease. Approximately 2.3 million workers are exposed to respirable crystalline silica in their workplace, and hundreds of thousands of people have already died from this disease. There is no cure for Silicosis which makes it that much more life altering. 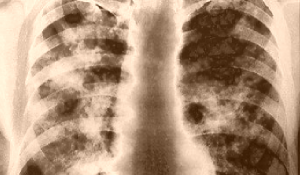 Once Silicosis has formed, the scar tissue in your lungs will progress, and there is no successful form of treatment to stop it from progressing, or even really to alleviate the symptoms. The best method of treatment is prevention. OSHA has created the new regulations in order to eliminate any uncertainty of how to properly protect yourself, and your employees or co-workers. Silica dust is the biggest health risk to workers in applicable industries, second to asbestos, yet so many are still working without proper protection. The safety regulations and equipment are readily available, but it’s up to you to take control over your own health and your own life. As a worker, you have the right to safe working conditions where the OSHA regulations are being met. As a business owner, the investment in proper safety equipment for your employees is small in comparison to the crippling harm it will cause to your workers, and your business if the regulations are not followed. Remember that although Silicosis it is incurable, it is preventable. If you are unsure of what the regulations are or what you can do to protect yourself and your employees, you can check out our blogs, or visit the OSHA website for more details.